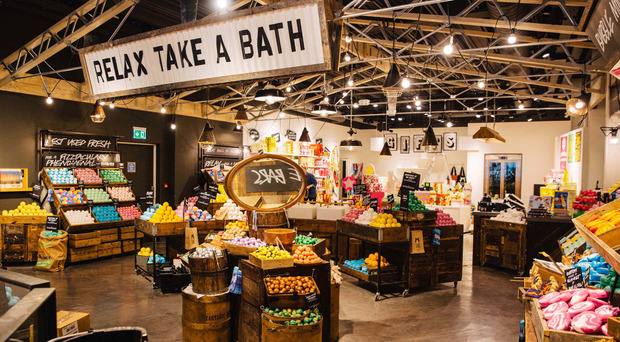 The Northern Ireland firm is fitting out the Lush store in Liverpool. A Belfast fit-out company has finished work on a refit of the world's biggest Lush cosmetics store in Liverpool. Portview, which is based on Florenceville Avenue, worked on transforming the Lush Fresh Handmade Cosmetics store over nine months. The new location in Liverpool is five times bigger than the old one and spread out over three floors, totalling 1,380 sq m. Portview explained that it had worked with architecture firm Hyphen to enhance the building's original features, adopting a look reminiscent of traditional department stores. Simon Campbell, managing director of Portview, added: "This has been one of our most iconic retail projects to date and it's a proud moment for us to see it come to life. "We wish the client team all the best of luck with the new store and look forward to seeing it flourish." The branch features a hair lab, a florist, a perfume library, a spa area with six treatment rooms and a party area. Portview, which has around 80 staff, has carried out contracts for many famous retailers. In 2017 it completed work on a restaurant at London retailer Liberty and last year it worked on a boutique called the Style Studio for jeweller Tiffany & Co, also in London.